Jump in and try something over your head, do it openly and transparently, and model for students how desire to learn can overcome fear of failure. Enable people to make connections, in person and/or online, through shared interests and passions. Digital media and networks can facilitate connections – and so can geolocal shared interests. Encourage people to reflect in public on their learning process, and comment on each other’s reflections. Some connected educators use wikis or mobile phones. 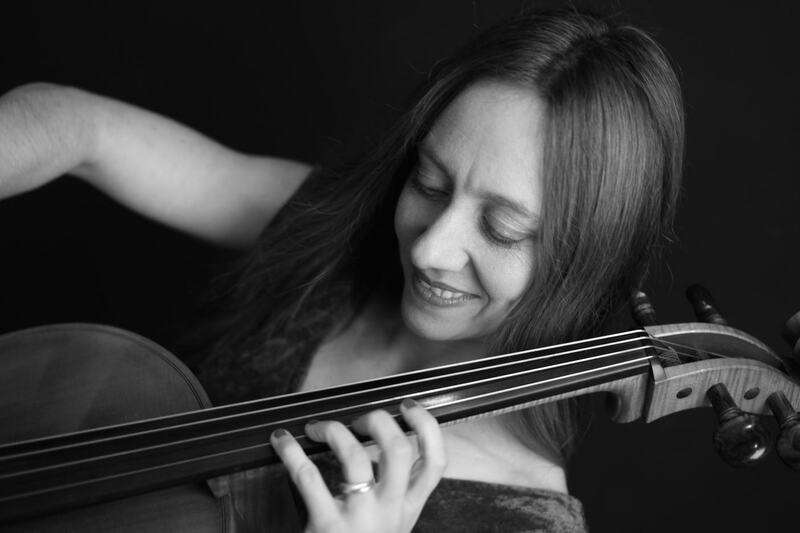 Laura Ritchie, a Reader in Pedagogy at University of Chichester, uses cellos. This year, she’s running the ninth version of “Cello Weekend.” According to Ritchie, “I had an idea that in music, people tend to come together like a clan around their instruments at times. So cello players hang together. So I thought ‘I’m going to have a Cello Weekend and it’s going to be for everybody.” Although at the beginning, Cello Weekends were strictly face-to-face events that didn’t yet involve digital media or networks, it did combine two principals of connected learning – it brought people together around their interests outside the university’s formal curriculum, and it connected those people. That connection, whether or not it involves digital tools, is at the heart of connected learning and connected educating, which is what brought Ritchie to ConnectedCourses.net, our open, online course on how to put together open, online courses. In the first Cello Weekend, complete beginners came together with novices, students, and professionals, from five year olds to grandmothers. They played cellos all weekend, Ritchie arranged the music, and they grew into a “big cello orchestra.” As in any other connected course, the connections that co-learners made with each other and with the teacher was as important as the subject matter. Ritchie wrote parts for the 1812 Overture that five year olds could play, enabling them to play a few notes at the right time while acting in concert with semiprofessionals. “They all work together, so they learn how to form this kind of group and they have experiences outside their roles as students.” Ritchie even brought in the audience at the concert by giving them balloons to pop at the finale of the Overture. Like many others, Ritchie was drawn into the world of connectivist MOOCs through Jonathan Worth. Worth, a professional photographer who organizes Phonar, a famously successful face-to-face (at Coventry U) and online course about “PHOtographic NARrative” that has attracted tens of thousands of participants. Worth told Ritchie about Connected Courses, and she helped him design his unit on “Trust and Network Fluency.” Worth mentored Ritchie on putting her ideas into an open, online course that ran in parallel to her face-to-face course. Ritchie also contributed a unit on “Photography for Your Ears” for Phonar and in the face-to-face portion of the Coventry course. For example, Ritchie started off with the mechanics of sound, to get them to think about what sound is and how they produce it. “We talked about the physics of sound, we looked at the mechanics of sound and what makes a melody, what scales and studies and connecting materials do. I talked about aural perspective. How do we hear, perceive, listen? What are the components within sound, such as harmonics akin to the way colors are components of light.” Ritchie presented activities that people could use to produce. Instructional videos, overtone singing, slow motion photography of a cymbal or a violin string – actually seeing how sound waves are transmitted.” With each activity, Ritchie encouraged learners to post on blogs and Twitter, to tag, share, and comment. Ritchie decided to bring five students to America. Throughout the academic year, Ritchie carried on a conversation every Friday with Jonathan Worth, an architecture professor at Cal Poly, and a high school teacher in San Luis Obispo. When Ritchie raised the possibility of her visiting California, the high school teacher said “What about your students? Are they invited?” So Ritchie asked her students “Who wants to come along?” and bought their tickets on their credit card. In the month since the tickets were purchased, the students raised over 4000 pounds and paid Ritchie back. She and five of her students plan to work with 50 high school students, some students from UCLA and Cal Poly, professors from both places, David Preston, a couple of grade school kids, and an art teacher. The plan is to record an album and release it as free downloads. One of the students that her students had been mentoring said he didn’t think he could join us because of the cost. The students Ritchie had financed decided to pay for the him and count on him to raise funds to pay them back later. Images provided by: Laura Ritchie.